Nokia recently revealed specs for the upcoming Nokia 801T smartphone which will be launched in China. 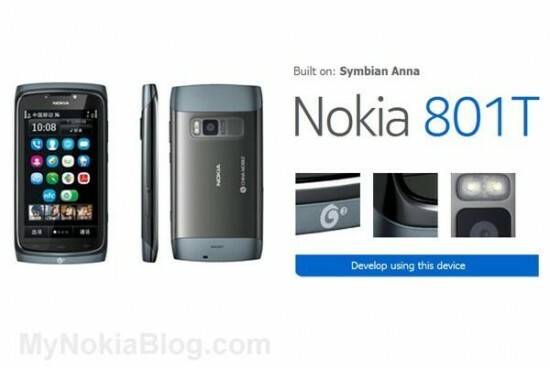 The phone looks pretty much similar to X7 handset and comes with latest Symbian Anna operating system. Nokia would deliver the 801T smartphone as New Year gift for its Chinese customers but its price and date of availability is yet to confirm!